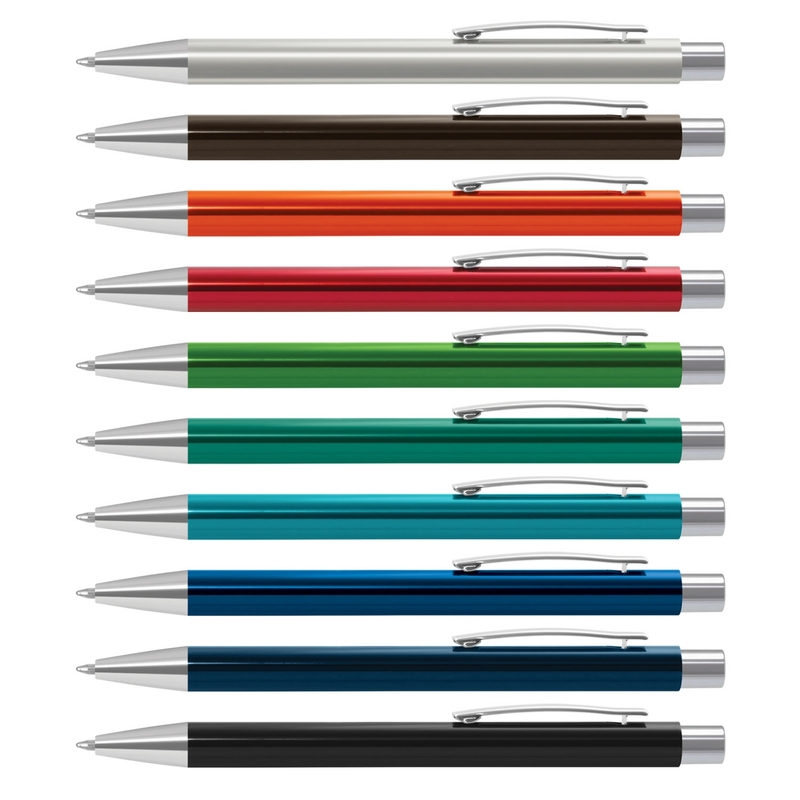 Write powerful lines that will stand out on the page with our retractable pens that combines unparalleled smoothness and simplicity. 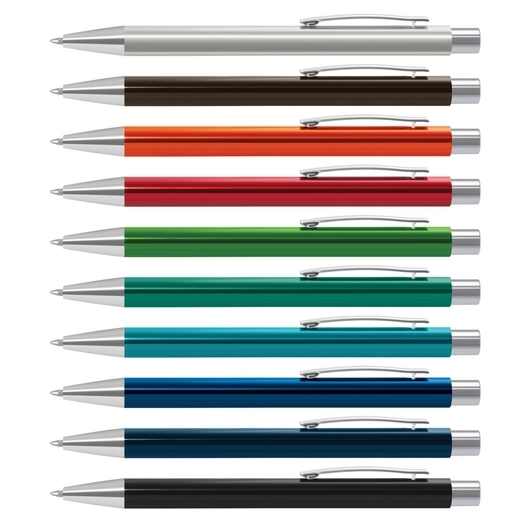 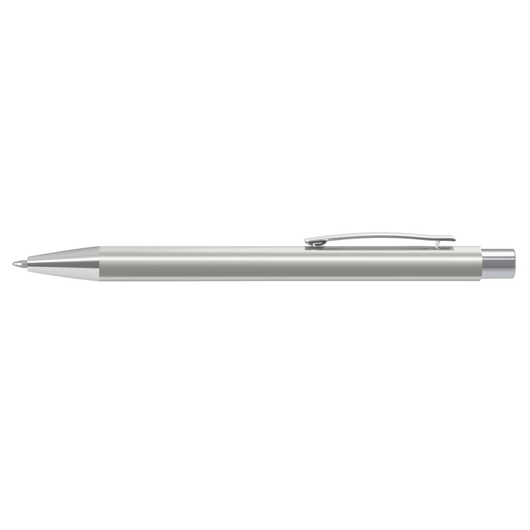 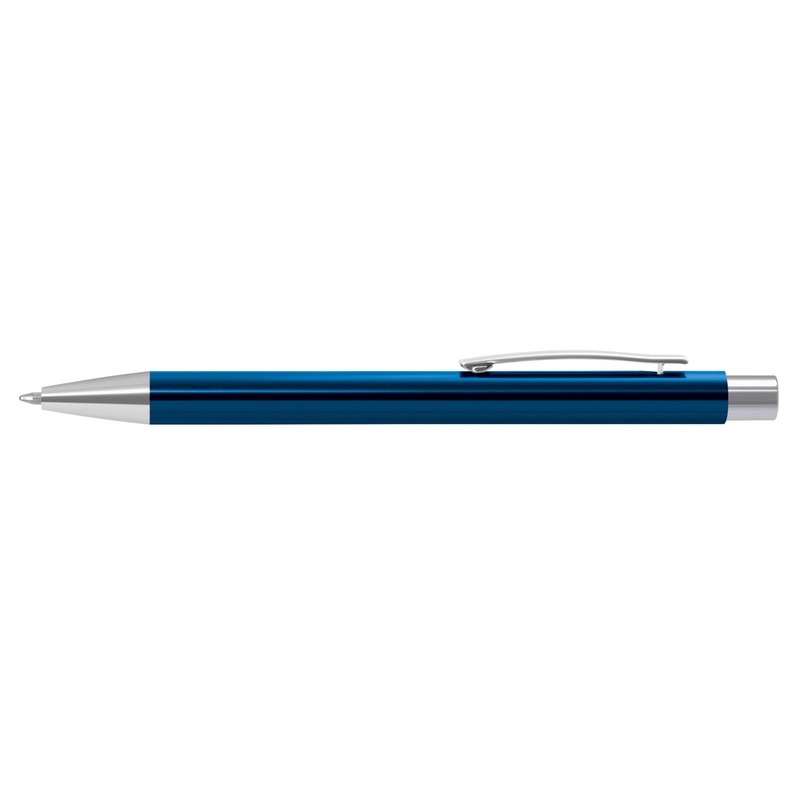 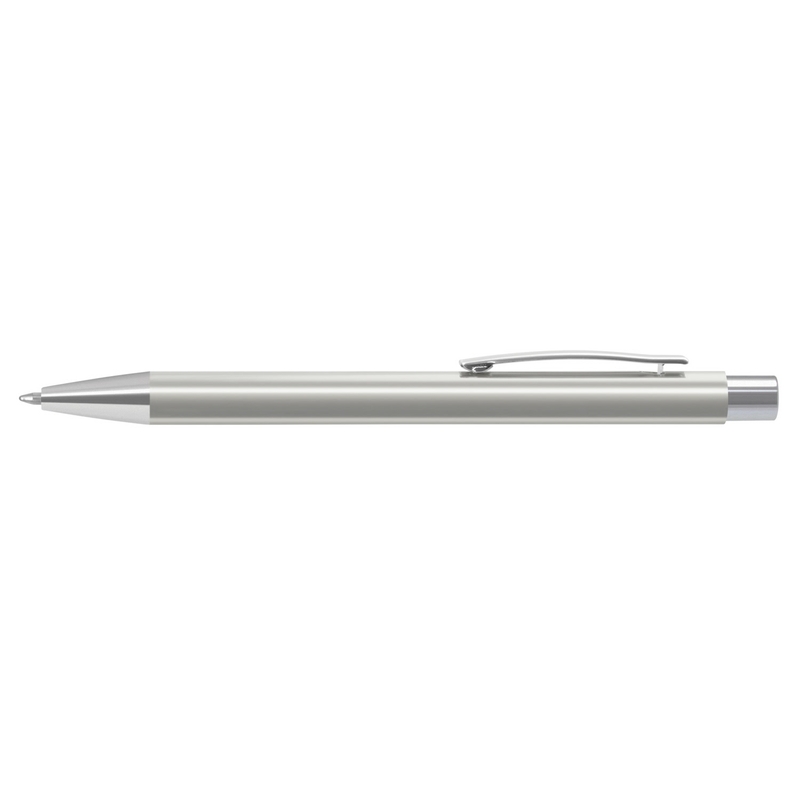 Enjoy an effortless writing experience in style with these retractable ball pens. 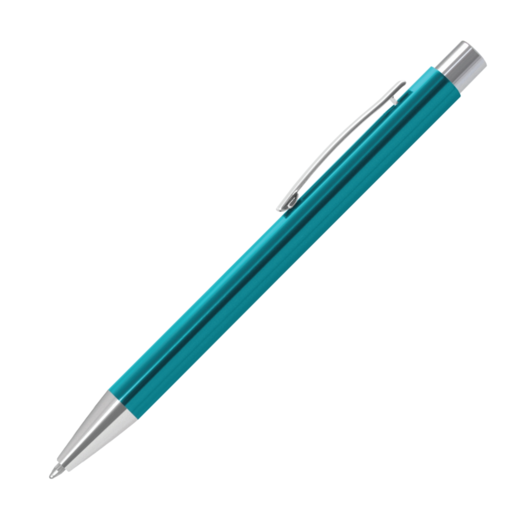 The barrels are made of aluminium metal with shiny anodised and a matt anodised silver barrel, all of which have shiny chrome accents. It has a black large volume refill with 1200 metres of writing ink. Blue ink is available for an additional charge and it laser engraves to an oxidised white colour. Can be presented in an optional black velvet sleeve or a gift box.